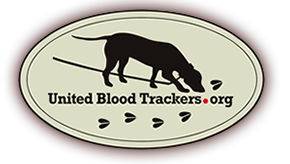 Pennsylvania- It is legal to make use of a leashed tracking dog to track a white-tailed deer, bear or elk in an attempt to recover an animal which has been legally killed or wounded during any open season for white-tailed deer, bear or elk. No special license is required. The hunter must simply follow the same hunting regulations that he would normally follow if tracking the animal without a dog.